We know how to prepare you for the State Contractors License Exam. With a 99% success rate, our exam preparation classes are the best in the industry. Begin Your Contractors Exam Preparation Today! That's Great! Because we have your answers. 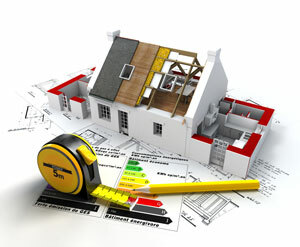 Our friendly and knowlegable staff knows how the contractors examination process works, inside and out. There’s a reason why we lead the industry in customer service. We don’t just want to help you pass your contractors license exam. We want you to have the best experience possible while doing it. We back up all of our expertise with a "No Pass, No Pay Guarentee," which means we never charge for you to retake our classes. Retake as many times as you need till you pass your exam. We have contractors license exam solutions for all 50 States. Not just that, but we also give instructor led exam preparation seminars throughout the country as well. FIND OUT WHERE and signup to get the best instruction money can buy. We have your contractors exam prep books ready and waiting for you. Just give us a call or visit our Online Bookstore and we’ll get you all the study materials you need to succeed. You can take advantage of our free shipping options or even have your books ready and waiting for you at your first class. The choice is yours. Redundant licensing got you down? NASCLA accreditation reduces redundant licensing requirements for contractors who need licenses in multiple jurisdictions.